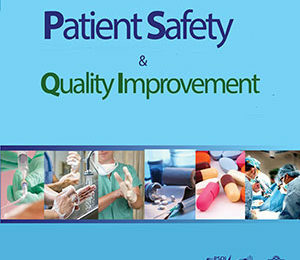 The 2012 Quality and Safety Education for Nurses (QSEN) National Forum will take place in Tucson, Arizona from 1pm on May 30 – 11:15am on June 1, 2012. This conference is designed to attract innovators and nurture faculty leaders for the improvement of quality and safety education through sharing of innovations in curricular design and teaching strategies that accomplish QSEN competency development, research related to quality and safety education in pre-licensure and advanced practice programs, and quality improvement or safety studies. Due to generous grant support from the Robert Wood Johnson Foundation, registration fees for the conference are only $150. Registration for the conference will begin in February 2012. To view the full conference agenda, select the button below. The 2012 QSEN National Forum conference evaluation and CE certificate will be available via the internet. An email will be sent to you after the last day of the conference. Upon completion of the conference evaluation and identification of the sessions that you attended, a printable certificate of completion with CE credit for the sessions you attended will be available. The program evaluation and CE selections will take less than 10 minutes of your time to complete online. To read the complete instructions, select the button below. Due to generous grant support from the Robert Wood Johnson Foundation, registration fees for the QSEN National Forum are only $150. This fee covers all early sessions, the special dinner on the first night and reception the following evening. The extended deadline has passed and registration for the conference is now closed. If you have problems with your registration, please feel free to call the Center for Lifelong Learning at 919-966-3638 between 8-4pm EDT or contact the QSEN site administrator at segedy@email.unc.edu. G. ROSS BAKER, PhD, is a professor in the Institute of Health Policy, Management and Evaluation at the University of Toronto where he teaches and carries out research on patient safety, quality improvement strategies and leadership and organizational change. He is the author of the 2008 book, High Performing Healthcare Systems: Quality By Design, that analyzes leadership and organizational strategies in seven health care systems that have been successful in using improvement tools and knowledge to transform outcomes. Dr. Baker co-chaired a working group on methods and measures for patient safety for the World Health Organization from 2006 to 2010 and recently chaired an Advisory Panel on Avoidable Hospitalizations for the Ontario Ministry of Health and Long Term Care whose report was released by the Ministry in November 2011. If you want a refresher on QSEN basics before attending concurrent sessions where speakers will assume this background, you are invited to this session. Dr. Sherwood, co-investigator of QSEN during each of its phases, will review the rationale for developing QSEN competencies and some of the initial curricular/teaching strategies that emerged in the work of faculty in the QSEN Pilot School Collaborative. 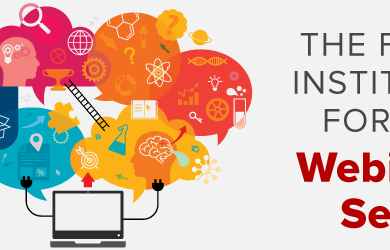 If you are thinking about introducing QSEN competency development using low- and hi-fidelity simulations, but your experience to date is limited, we invite you to this session. Dr. Durham has been the QSEN faculty simulation expert since QSEN began, and she will cover beginning strategies for how to integrate QSEN competencies into simulated experiences. Margaret Flinter, APRN, PHD, Sr. Vice President and Clinical Director of the Community Health Center, Inc.
Margaret. Flinter is the Sr. Vice President and Clinical Director of the Community Health Center, Inc., a world-class primary care organization focused on special populations, improving health outcomes, and building healthy communities across Connecticut. She has co-led the growth of this organization for over thirty years, as it transformed from a single storefront clinic to one of the premier primary care organizations in the country, with other 130,000 patients and Level 3 recognition by the NCQA across all sites. Margaret is board certified as a family nurse practitioner and has combined administrative, executive, and clinical leadership in her work at CHC. This presentation will review what is known about the extent and type of errors/near-misses committed by nursing students and present the rationale for instituting systems and structures that allow for trending and analysis of student errors/near-misses. 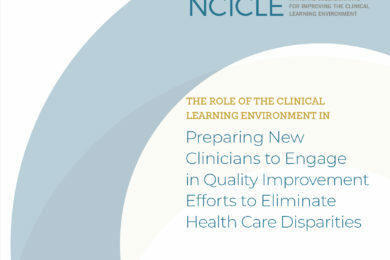 It will also hightlight a national study being launched to (1) collect and analyze information on current practices and policies for reporting and trending errors/near-misses by pre-licensure nursing students; and (2) create a national data repository for capturing information on these errors and near-misses. 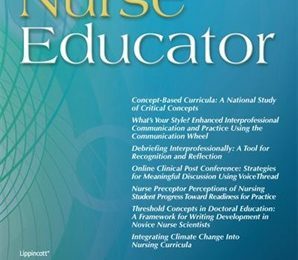 This interactive session incorporates a panel presentation along with a case study application activity translating QSEN into a continuum of professional nursing practice. 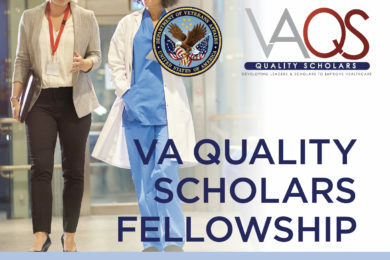 The presentation focuses on four exemplars; standardized RN job description, nursing orientation, RN New Grad Residency and front-line leadership program. Integrating and translating QSEN into performance expectations, competencies and outcomes within a hospital system facilitates rapid change, improved performance and growth of professional practice. Dr. Cronenwett will update the markers of transformation in professional formation and development that have occurred as QSEN finishes its seventh year of activity. She will also describe plans for transitions in leadership of the QSEN website and QSEN Forum. Dr. Dolansky will describe future directions for QSEN with an emphasis on how QSEN can help participants reach their goals to enhance quality and safety in nursing education. Join us in celebrating the many people who have led QSEN during seven years of funding from the Robert Wood Johnson Foundation and, most importantly, the new leaders to whom we will collectively pledge our gratitude and support. The long awaited textbook entitled Quality and Safety in Nursing: A Competency Approach to Improving Outcomes, edited by Gwen Sherwood, PhD, RN, FAAN, and Jane Barnsteiner, PhD, RN, FAAN, has been published, and the editors and many of the chapter authors will be present to sign their chapters at an author signing during our conference. The Beta Mu chapter of Sigma Theta Tau will have a limited (around 60) number of books for sale at the conference. Feel free to order directly from the publisher using the link below and bring your copy to the author signing. Be sure to use discount code “AFF15” when making your purchase. The conference will take place in the Westin La Paloma Resort in Tucson, Arizona. Make your reservations now to lock in the group rate of $119 per night for the QSEN conference block. The group rate is available 3 days before and after the event upon availability. If you’d prefer, you can make reservations by phone by calling (520) 742-6000. The deadline for reserving a room within the QSEN block is May 7, 2012. *When booking, please use Group Code QSEN12 to get the discounted rates above. Taxis are also available at the airport. The airport is approximately 18 miles from the Westin La Paloma.